We’ve been having so much fun eating and making all things strawberries. 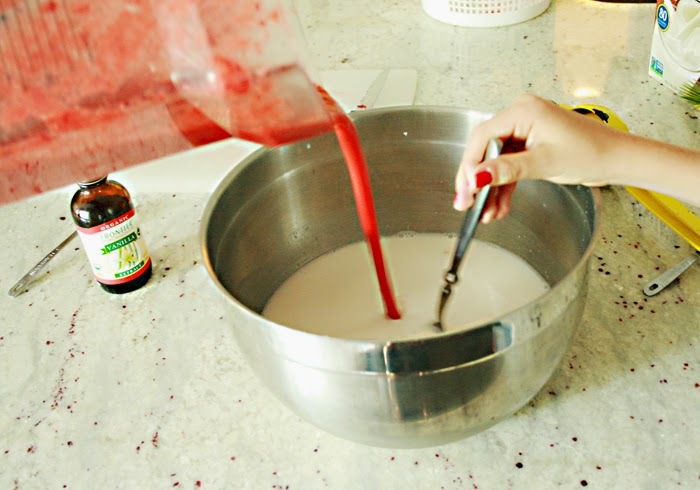 And of course we have to make homemade strawberry ice cream. With summer here, I have been trying so hard to really watch my diet and have cut out (for the most part) sugar and diary. But in the summer we break in our ice cream maker quite a bit and the kids have a lot of fun coming up with different recipes. So homemade ice cream is quite tempting around our house. 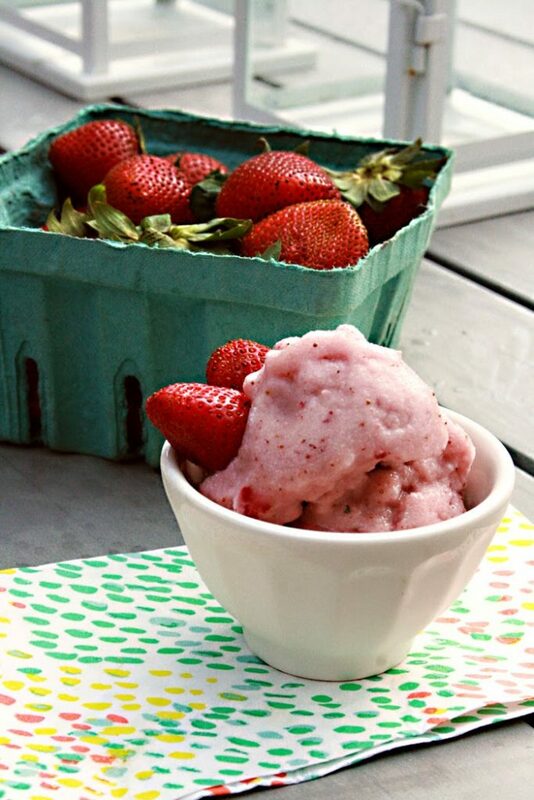 This healthy recipe is guilt-free, and ice cream that I can turn too when I crave something sweet and fruity. 1. 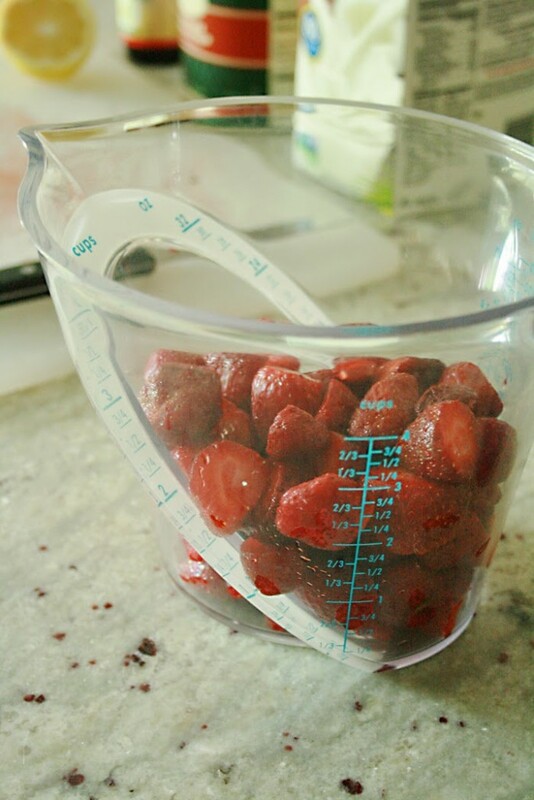 Cut stems off strawberries and measure out 16 ounces in cup. 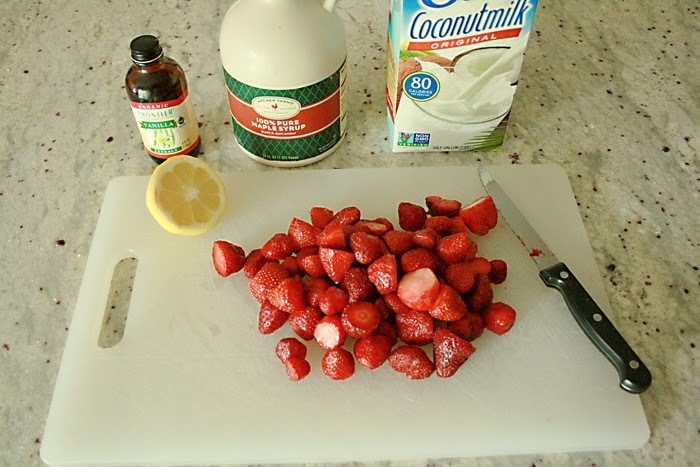 Put it in your blender and puree. 2. 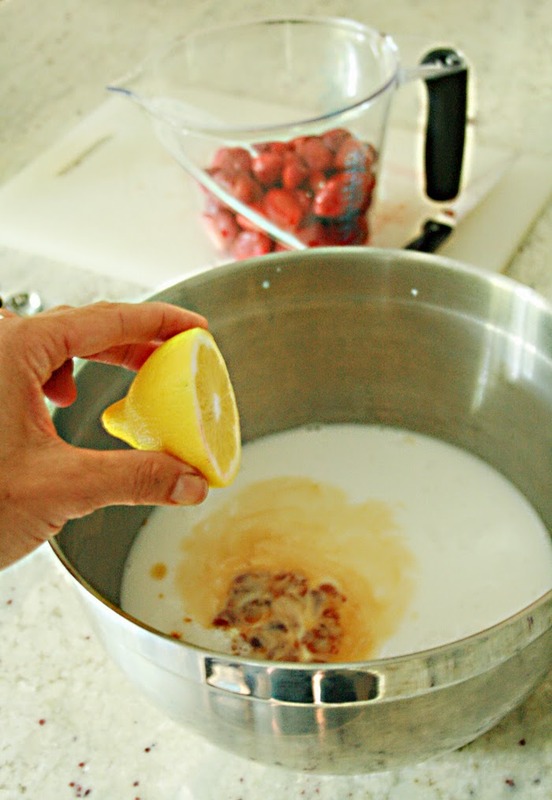 Combine coconut milk, maple syrup, vanilla and lemon juice in a mixing bowl. 4. 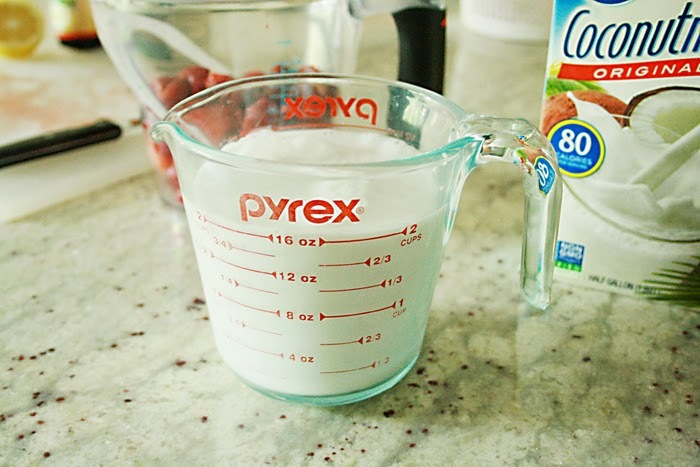 Pour mixture into your ice cream maker and follow directions. After the ice cream is made, serve immediately and enjoy. Got any leftover ice cream? Don’t put it in the freezer just yet. One of the bummer things about coconut milk is once it freezes it comes really hard…like ice hard and the consistency is not creamy anymore. 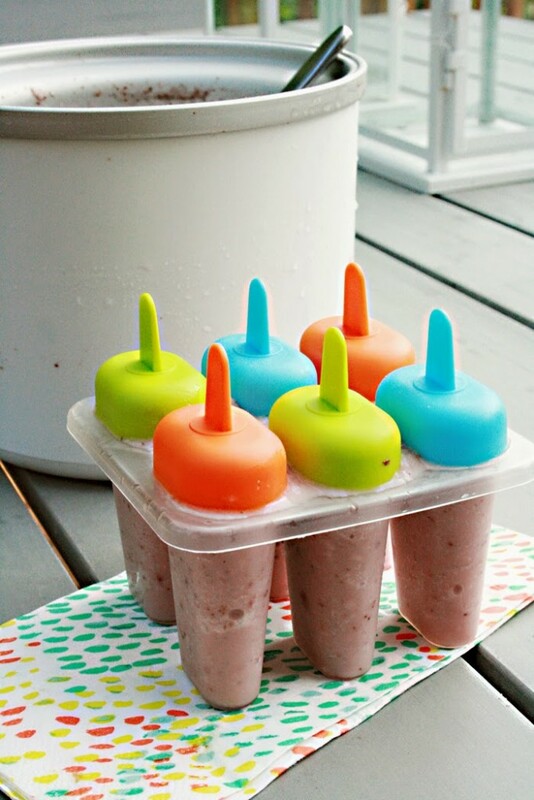 BUT, what we do with any left over coconut ice cream is put the remains in popsicle molds. It works out great and kids like it as do adults. And you don’t have to chisel out a huge block of ice.